Whitehaven have signed forward Matty While on a two-year deal from Barrow. The 22-year-old returns to the Recreation Ground after enjoying a loan spell at the club in 2018. While made two appearances for Haven last season, before returning to the Raiders where he played 11 games for the Championship club. Whitehaven head coach Gary Charlton commented: “Matty is an up and coming prop forward that has plenty of aggression in his game. “He probably didn’t get the game time he wanted at Barrow last season to show what he can do so hopefully it will be to our gain. 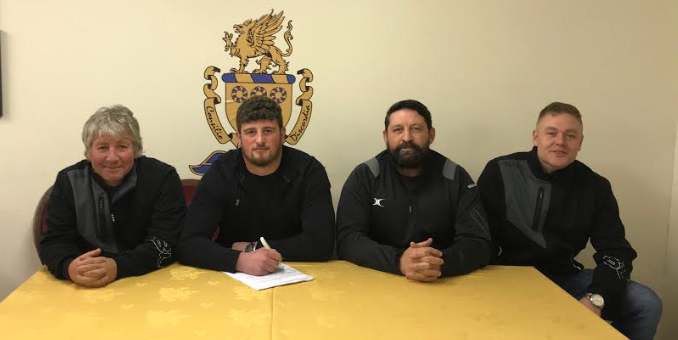 While is the 19th confirmed member of Whitehaven’s 2019 squad.